It’s supposed to be a Christmas gift, and I knew that I wanted to do a lot of fun FMQ in all that negative space. So when the kiddos got sick over Thanksgiving weekend I got a little stressed that this was going to take a lot longer than I thought it would. Swirly clouds for the sky. 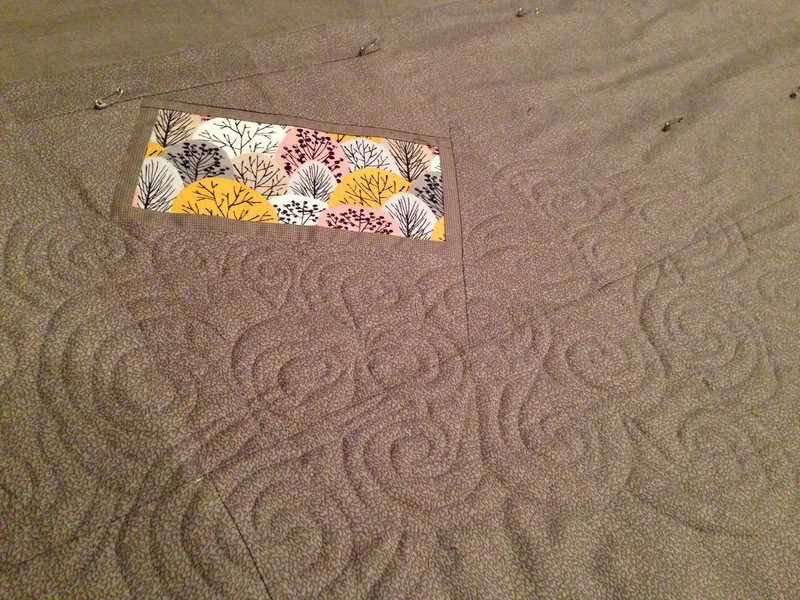 I had picked a taupe-colored thread for the quilting so that the stitches (and mistakes) would blend, but I had no idea how hard it would be to see the stitches! 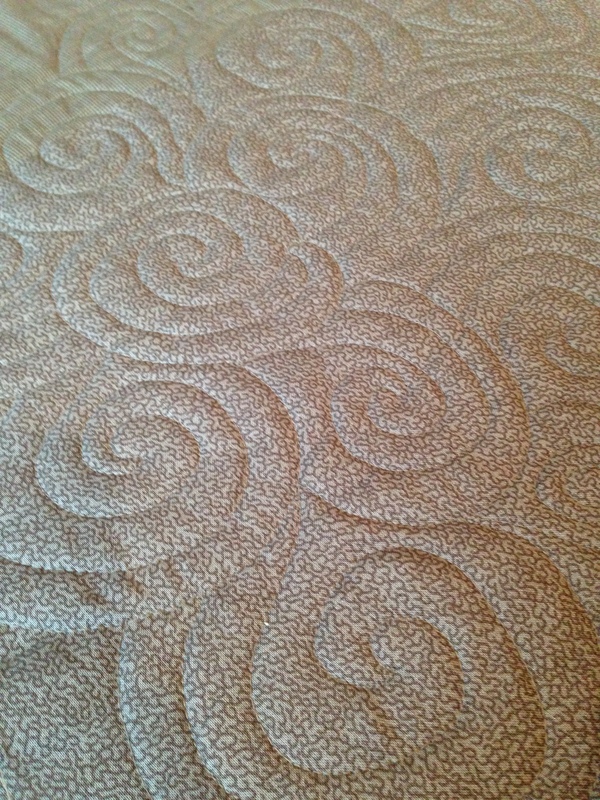 It was tricky, but I was really happy with the first round of swirls. See how different the look can be just based on fabric and thread color? This is more about the texture than the stitches. Man, am I sick of taupe. 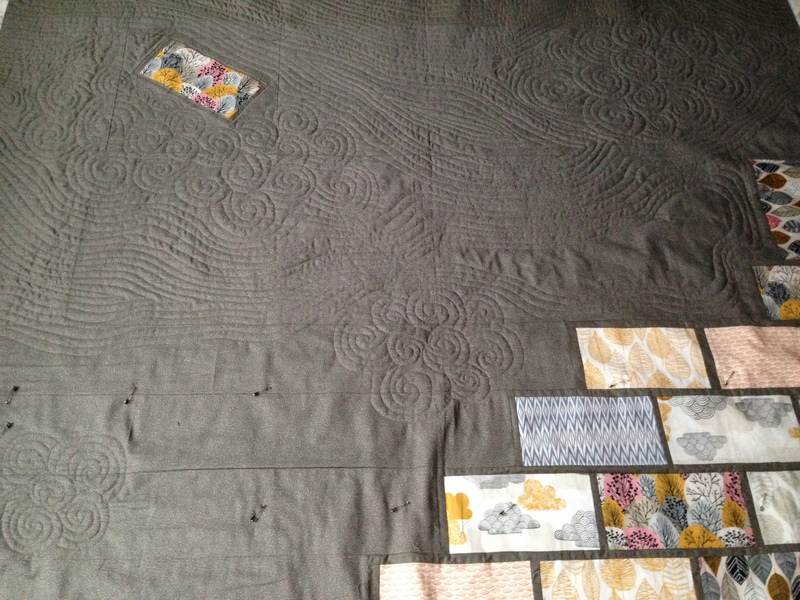 I am really looking forward to quilting the bricks. It looks great! I bet your shoulders are BURNING!!! I can’t wait to see this in person, I hope I get to at the December meeting! Thanks so much, lady! I love having guild as an early deadline to get it done. 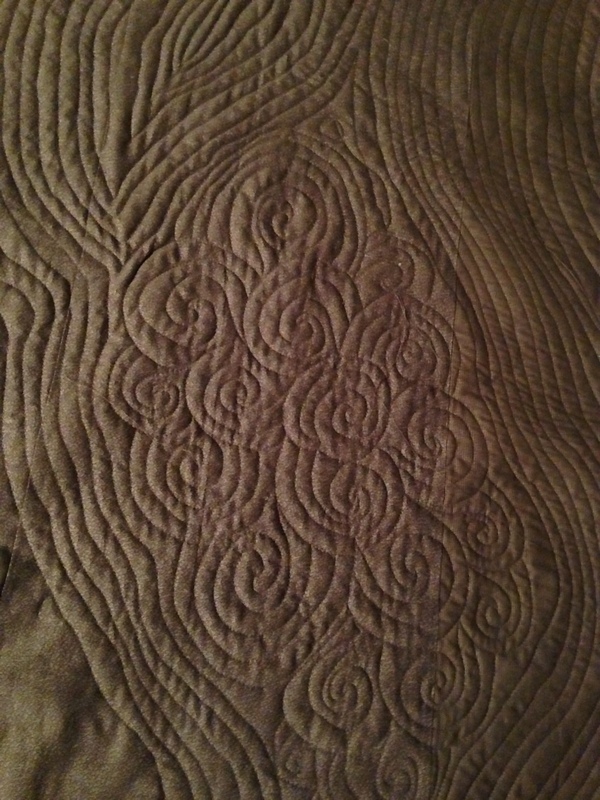 I have loved this quilt from the early design phase. 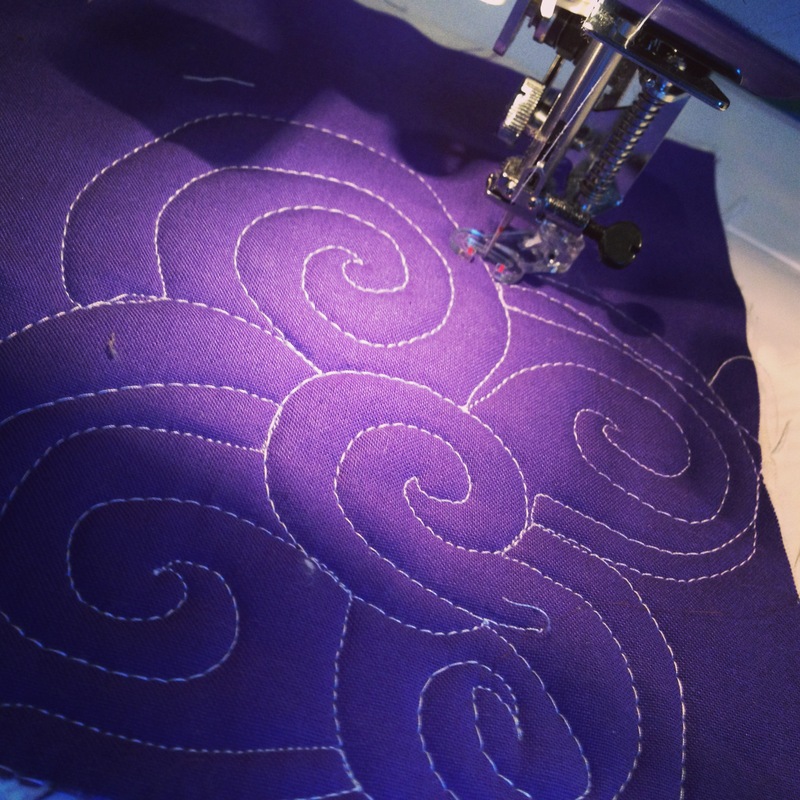 The FMQ is beautiful. Can’t wait to see it finished! Those low-light shots are really good, because it makes the brick fabrics looks so bright they’re like illuminate windows. 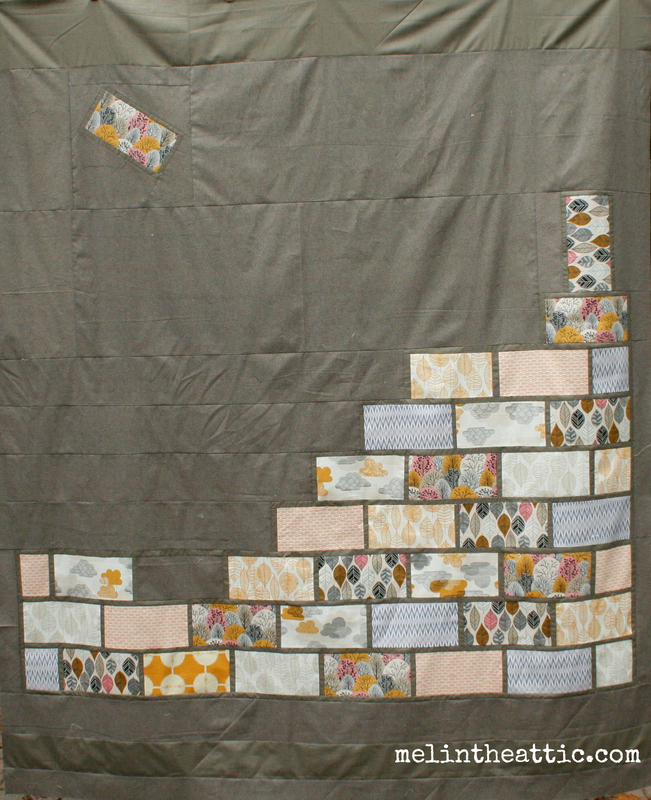 I love your ‘windy day’ quilting, it sort of explains why the bricks are floating away!